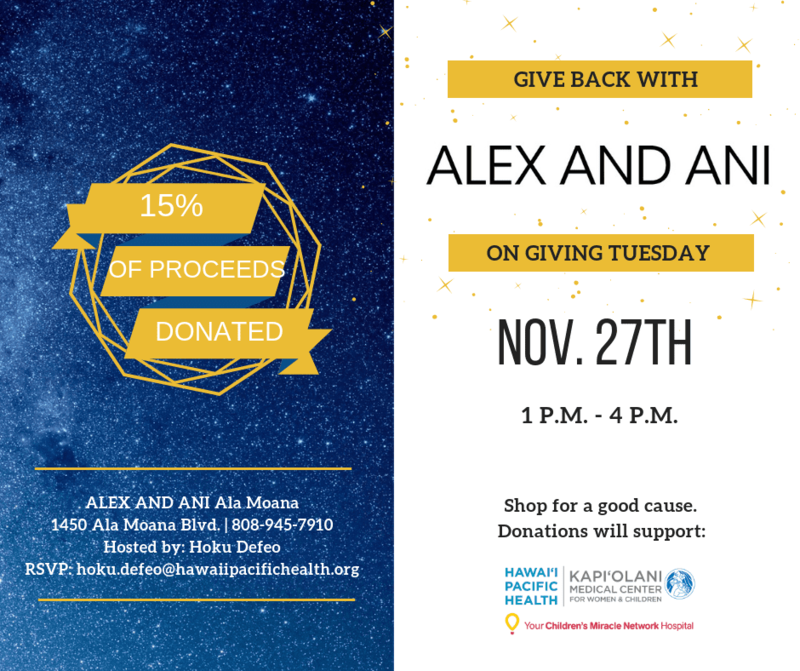 Join Alex and Ani Ala Moana and contribute to Kapiolani this Giving Tuesday! Shop in-store Tuesday, November 27 from 1P.M.-4 P.M. and 15% of your purchase will be donated to Hawai‘i’s only Children’s Miracle Network Hospital! Alex and Ani aims to design meaningful jewelry. In six years, the company has donated more than $46 million to organizations like Children’s Miracle Network Hospitals. Shop for you and a loved one and be a Kapi‘olani supporter! Previous post: Round-up Hawaii with Ace Hardware!